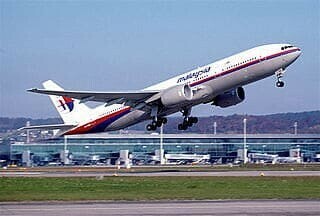 Malaysian airlines flight MH370 has been missing for over a week now and newspapers, radio and TV are full of people speculating about it. Indeed, almost anywhere you go people are saying “what happened to that flight is such a mystery”. Radio and TV presenters are keen to tell their interviewees “please do not speculate” and then spend the next three minutes in rampant speculation. Fact: 350 tonne aircraft that are 64m long do not vanish. Even the magician David Copperfield who made an aircraft disappear did not actually, really do it. It was a trick…! Gosh…! Human beings are not daft. We know that magicians trick us. But actual passenger jets vanishing? Now that’s not a trick. So, it is against all logic and we have no information that makes any sense. That means we speculate. Indeed, throughout the web today you can find all sorts of speculation as to how David Copperfield made a jet plane “disappear” or how he “vanished” the Statue of Liberty. Only David Copperfield and his team actually know how he did it, the “solutions” found on the web and in magic books are merely suggestions. Similarly, throughout the Internet today you can find all sorts of “explanations” for the disappearance of Flight MH370. Yet only the pilots on board the plane actually know what happened. The rest of the so-called expert opinion is mere speculation. Indeed, this morning on the radio I heard two real experts – they had both worked in senior positions in air traffic control – coming up with completely opposing views as to what had really happened to the missing plane. The fact is we do not know. So why do we speculate? That’s an evolutionary factor. In order to adapt to our environment we need to test it. We need to poke around and see what works and what doesn’t work. We need to be “scientists” testing the world around us and seeing how we can fit it. That means our brains seek to explain everything, to make sense of the world so that we can operate effectively within it. In other words, speculation is a necessary part of the survival of our species. And what on earth does this have to do with your website? Well, it’s the impact of a vacuum of information. If you stop posting material for a while, your visitors will speculate. If you drop off their radar on social networks, they will begin to speculate. If you stop emailing them as regularly as previously then they will speculate. In other words, if you do not keep your website up-to-date, if you do not constantly maintain your social media presence then your target audiences will automatically speculate. They will say things like “they are no longer in business” or “they have moved on to do different kind of things” or “they are no longer interested in us as customers”. When you stop communicating, people speculate. Another great topical post Graham leading to a good practical related tip. Many thanks.